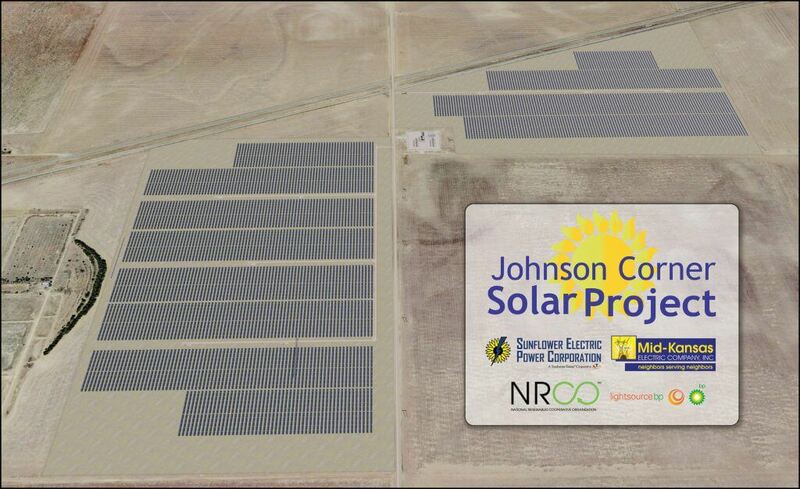 Mid-Kansas Electric Company Inc., along with Sunflower Electric Power Corporation, Pioneer Electric Cooperative Inc., Lightsource BP, and National Renewables Cooperative Organization (NRCO) are proud to announce the development of the largest solar project in Kansas. The project will consist of approximately 86,000 solar panels and will have a nameplate capacity of 20 megawatts. The project, which will be located near Johnson City in Stanton County, Kansas, is expected to be energized in late 2019. Below you will find links to project information and materials. If you would like additional information, please inquire at corporatecommunications@sunflower.net. Lightsource BP, the independent power producer contracted to build, own and operate the 20 MW solar project planned by Mid-Kansas Electric Company, has requested a 12-month extension on the project. The extension request resulted from financial pressures, such as tax reform and tariffs on solar panels and steel, and will likely result in lower O&M costs for Lightsource BP. The extension may also result in advanced panel technology for the solar project. The project, located near Johnson City, Kan., is now expected to come online in mid-2020.